Dr. Gila Gavrielov- Crystal Therapy & Healing - Lucky Pendent-Star of David with Turquoise for double Good Luck. 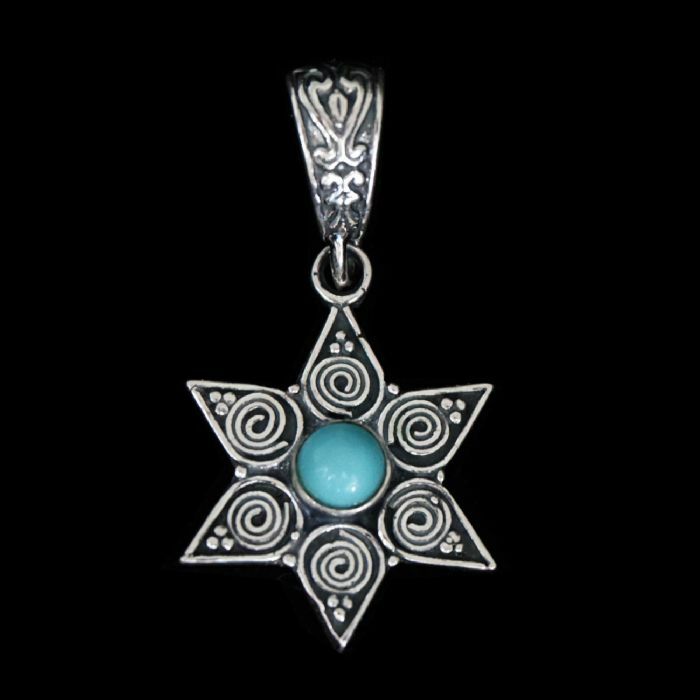 Lucky Pendent-Star of David with Turquoise for double Good Luck. best fortune and protection, is hand made by an artist with "filigree "handmade of fine wounded threads ,sterling silver. It is set with a gem Turquoise, the best capable for success and wealth. It combines beauty and promotion to be happier life. and guards against all disease.